Nikolai Lugansky's Power And Repose Hear an outstanding Russian pianist play Chopin and rarely heard Rachmaninov in recital. The long, unbroken chain of grand Russian pianists never seems to end. 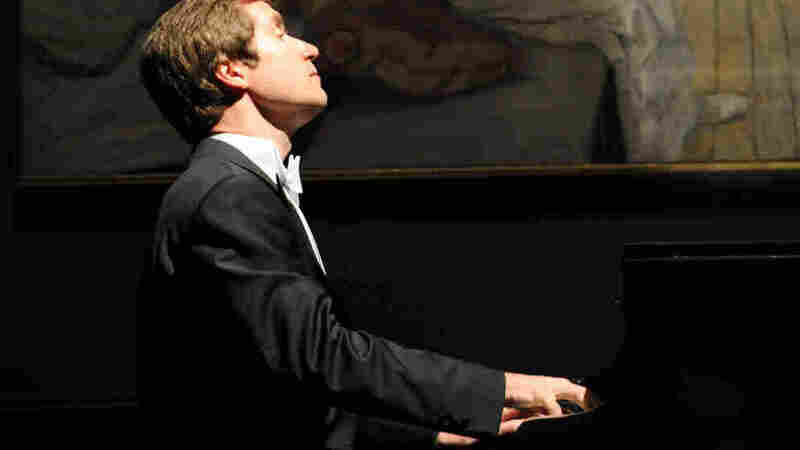 And you can count the Moscow-born Nikolai Lugansky as a significant new link — especially after listening to this recital at the 2011 Savannah Music Festival. The 39-year old musician, who looks like he could star in the next James Bond movie, has the requisite big Russian technique, a plush, romantic sound and interpretive skills perfect for this type of recital, with its healthy dose of Chopin — from the dreamy to the hard-driven — and lesser known, finger-twisting music by Rachmaninov. Lugansky's career begins with one of those nearly unbelievable wunderkind stories. At age 5, while little Nikolai was visiting a neighbor's dacha, he played a complete Beethoven piano sonata from memory and by ear, as he had not yet learned how to read music. As a teenager, he enrolled in the Central School of Music in Moscow and eventually spent nine years studying with famed pedagogue and pianist Tatiana Nikolaeva. In her final interview in 1993, shortly before she died, she hailed Lugansky as the next big thing. And ever since, he's been doing a remarkable job of keeping her honest. Lugansky is a player who doesn't call attention to his powerful facility. There's a cagey restraint early on in Chopin's "Heroic" Polonaise, Op. 53. He doesn't bust down the gate with guns blazing. Instead the music builds to a magnificent and surprising violence that is nothing short of breathtaking. On the opposite end of the power scale, Lugansky spins a silken thread of bel canto melody in the D-flat major Nocturne. At its close, the delicate notes twinkle like so many dewdrops suspended in the humid air. A rare treat closes out this Savannah recital: Lugansky's terrific account of Rachmaninov's neglected Piano Sonata No.1. The composer trimmed the massive work down to a manageable 35 minutes for its 1908 premiere. Two fast movements with formidable peaks of passion surround a central slow episode wherein Lugansky relishes the delicious, long-flowing lines of Rachmaninov's intertwining melodies.